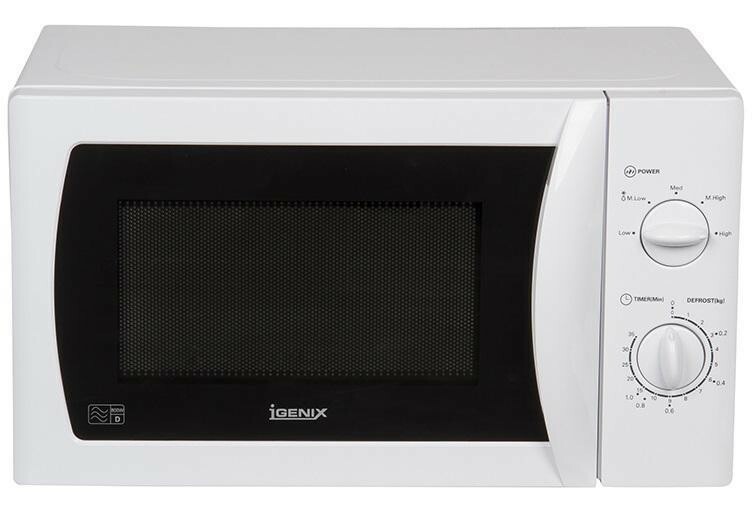 The Igenix IG2008 800W 20 Litre Manual Microwave in a classic white colour is the ideal microwave for small kitchens or office spaces. 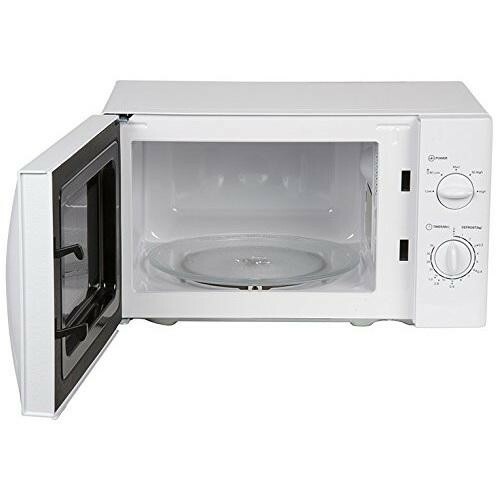 The 5 power levels on the IG2008 let you easily cook your food to the correct power and the dual wave system ensures that your food is cooked thoroughly. The 35 minute timer allows you to set a time then sit back and relax, the dials are clearly marked and very simple to use. The large 20 litre capacity and 25.5cm removable glass turntable enable you to cook large amounts of food at once and the defrost function can come in handy when you need to defrost food quickly.